Kick off your future with an RVCC Career Training Program. 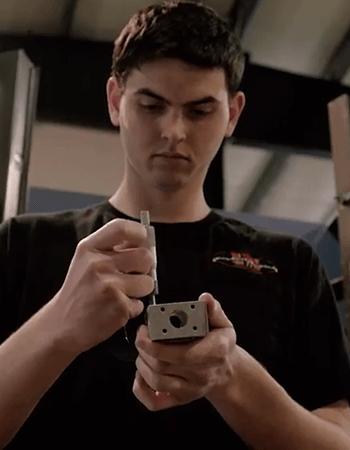 From Advanced Manufacturing to Automotive Technology to HVAC—or from Cosmetology to Fitness to Skincare—you’ll learn cutting edge skills to help you thrive in your field of choice. Developed in partnership with local industry, our high-quality, affordable programs are designed to put you on the path to success with practical training that directly translates into employment. In fact, we offer job shadowing, internships and job placement services. Take a look at Career Training course offerings.